Make your Windows faster with Advance system care pro 5 ~ Download Everything You Need ! There are many kinds of software on the internet that makes windows operating system faster and better. 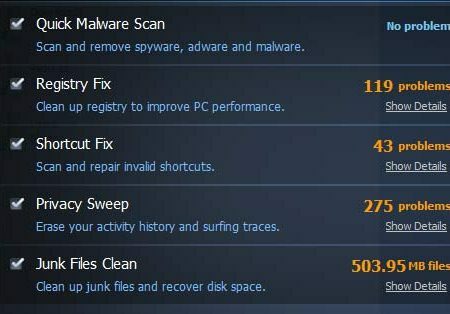 Some of them are really good and some other are spyware. People often confusingly choose the wrong one and does a great harm to their computer. 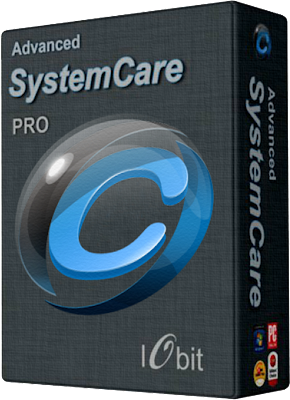 From all of them i'll suggest Advance system care pro 5, a perfect advanced suite for security and optimization which will take the anxiety of yours. The suite is combined with some individual tools , but they all can be easily accessed from a neat and clean user interface. Firstly, i'll say about a tool called Quick Care which includes a bunch of some important tools that will becomes a part of your weekly or daily maintenance routine. 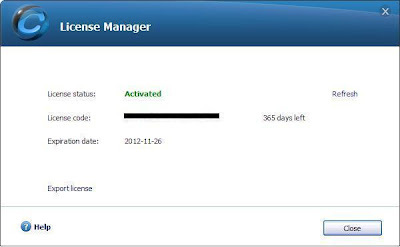 you can search for malware and of course you can delete them. you can certainly improve your PC performance by cleanup windows temporary files and unused registry files. On the other hand, Deep Care option takes the PC optimization to another level. 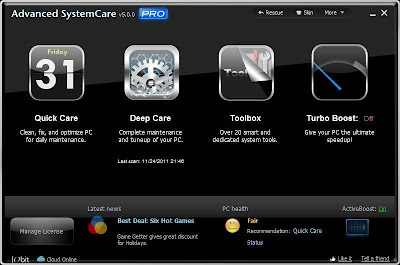 It does the quick care function includes some other tools including windows defragment, windows vulnerability fix, system optimization, disc scan to a deeper level that makes your computer so flexible that no other software does. As i can remember that turbo boost function isn't available in ASC 4 free version, but in ASC 5 it can be accessed even on free version. It now offers two options : one is work mode and other is game mode. 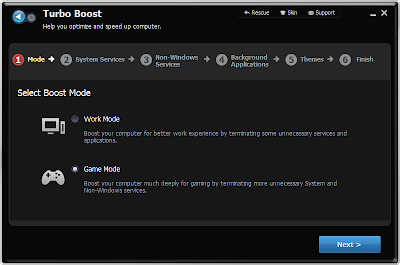 Game mode option will boost up your PC by disabling unnecessary programes from windows system. 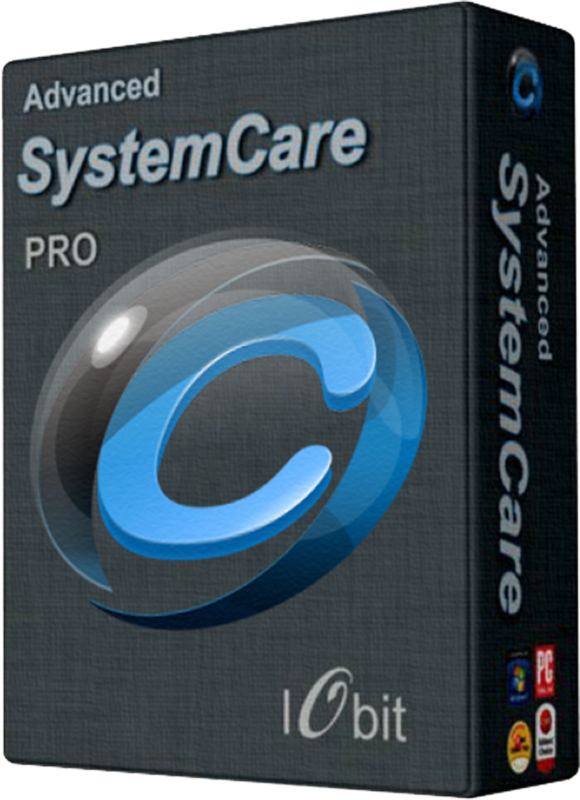 Though Advance System Care 5 is free of cost but ASC pro 5 lists for 19.95 $ . But from me , you'll get it for FREE !! So download and enjoy and don't forget to visit my blog for more free stuff.